We did the part of the Patowmack Canal trail from the Visitor Center past the three overlooks. The first overlook is not accessible, but the other two are. The second one has a ramp next to the stairs and the third is on same level as trail. The second overlook was a little hard for Mik to view the falls from due to the wood railings. 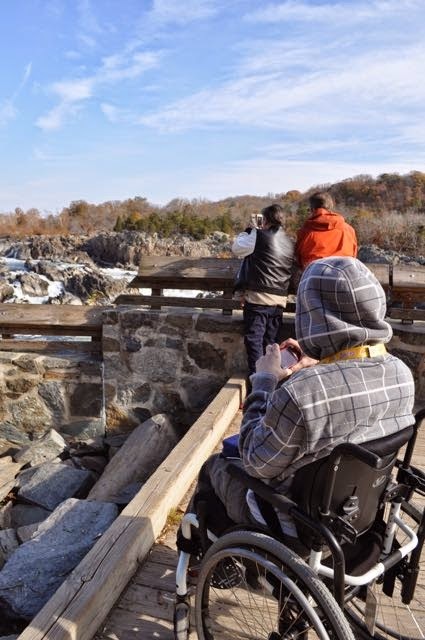 On the north part there is an area that goes down from the main viewing area and by putting Mik several yards back from the railing and facing that way he could see the falls. The third overlook was the best view for Mik, as part of the lower viewing area has a clear railing section similar to what we've seen at ballparks. After the last overlook we decided to return to Visitor Center and car as Mik's feet were cold. 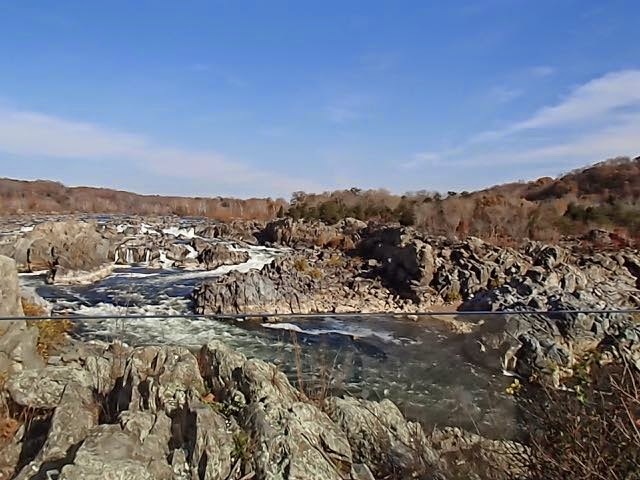 We crossed over at the picnic area to take the Old Carriage Road trail back to the Visitor Center for some different scenery. (Yeah, we really need to get him some real winter boots, as that's twice this week he has been less adventurous due to cold feet and it's not even winter, yet). 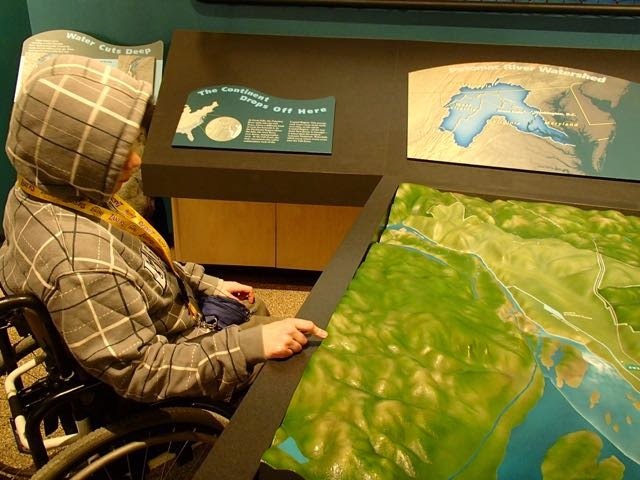 Mik enjoyed the exhibits in the Visitor Center, especially the 3D model map of the falls area. There are also exhibits about the areas history including Native Americans, the American Revolution, and tourism. 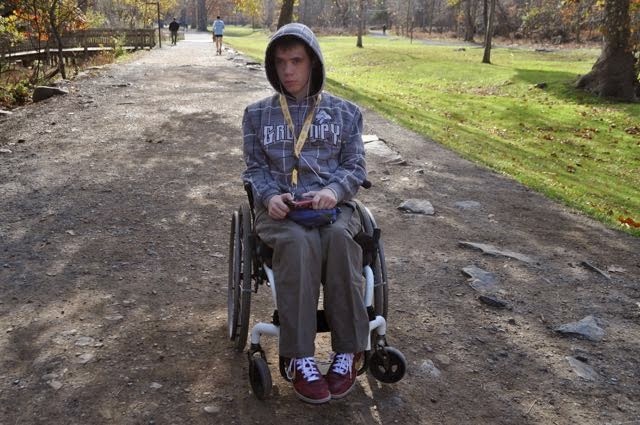 Check out the Hiking part of the park's website here for good details on the wheelchair accessibility difficulty levels of the trails.